On the weekend my family and I went to a conference on Islam in Practice. The first talk was about Leadership in the Family Structure and Sheikh Yahyah Ibrahim talked about tranquility in the home. I will share it with you. How do you establish tranquility in your home? Each of us is a leader. The husband is a leader of the family and the wife is a leader in charge of the household and children. So each one has a responsibility for establishing tranquility in the home. The focus should be on the self. Too often we blame others for our problems. We need to look at ourselves and our own actions and how we impact the functioning of the other family members. 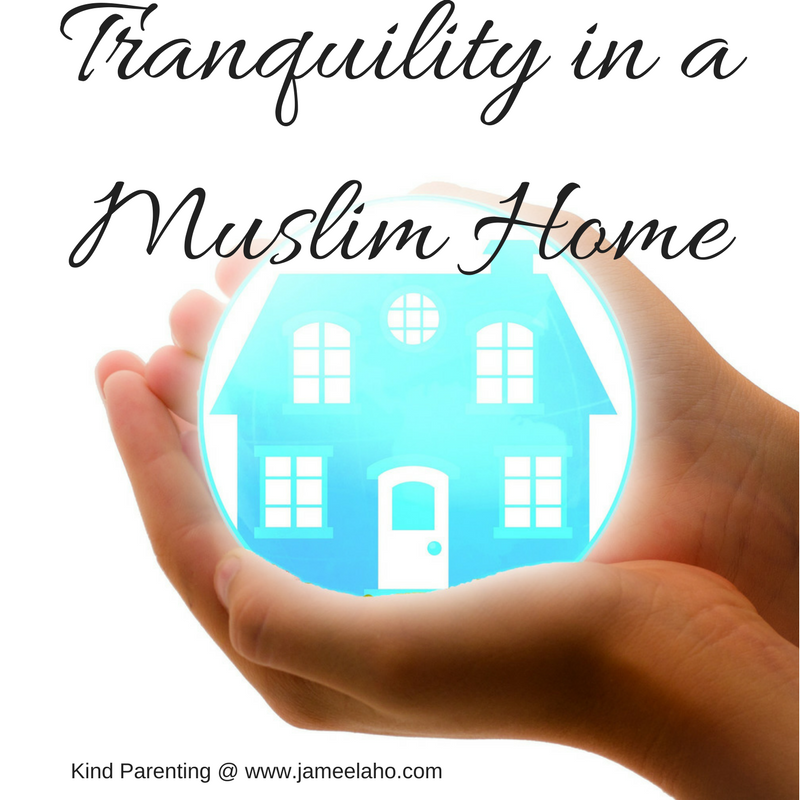 What are we doing that is not contributing to the tranquility in our homes? What can we do to make it so? So it all starts with you. The next thing you can do is to live by example. Be the good example that you want your husband or wife and children to be. When they see your kindness they will respond and behave in the same way. We have the Prophet Muhammad, peace by upon him, as an exemplary model to live by. We should emulate the way he, peace be upon him, treated his wives, children and others in his household. The third thing is to be present. Put away the phone or whatever else you're doing and focus your attention each member. Give them your undivided attention. When you're with your family then don't multi-task. Do one thing at a time. Next, be intentional. Set your intention for a peaceful and tranquil family life and Allah will give it to you. When you have the intention, you set your mind to it and your actions will follow accordingly. Lastly, say what you mean and mean what you say. Only say things that are important and follow through on what you say you'll do.